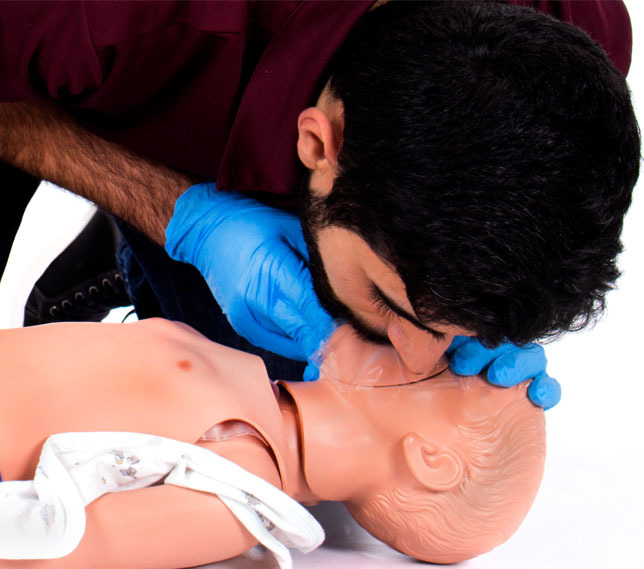 Some Instructors choose to teach Child CPR using an adult manikin in order to save on expenses and avoid transporting more equipment to and from their classes. But is this really the best practice for providing quality training which ultimately leads to better outcomes in a real emergency? 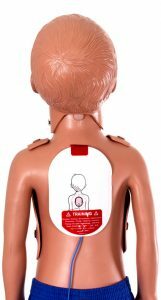 Here are a few reasons we believe every Instructor should invest in at least one child CPR manikin. We want to provide students with the most realistic training. This means practicing techniques with equipment that reflects emergencies they may encounter. 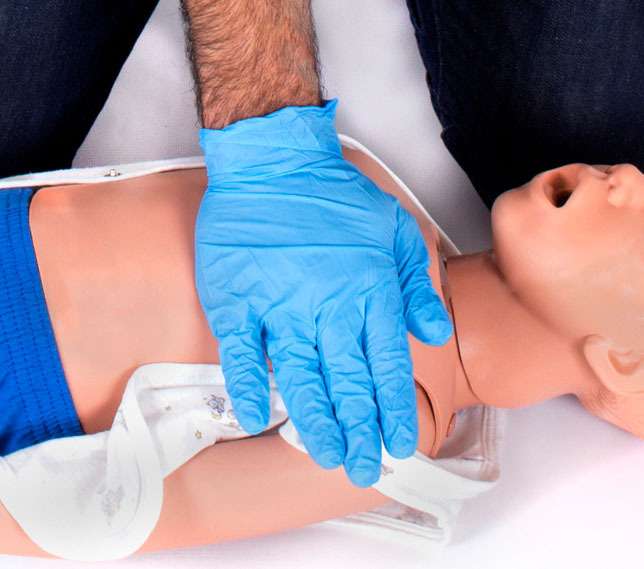 By having a child CPR manikin available, students gain a better understanding of the differences in hand placement, compression depth and ventilation for Child CPR. 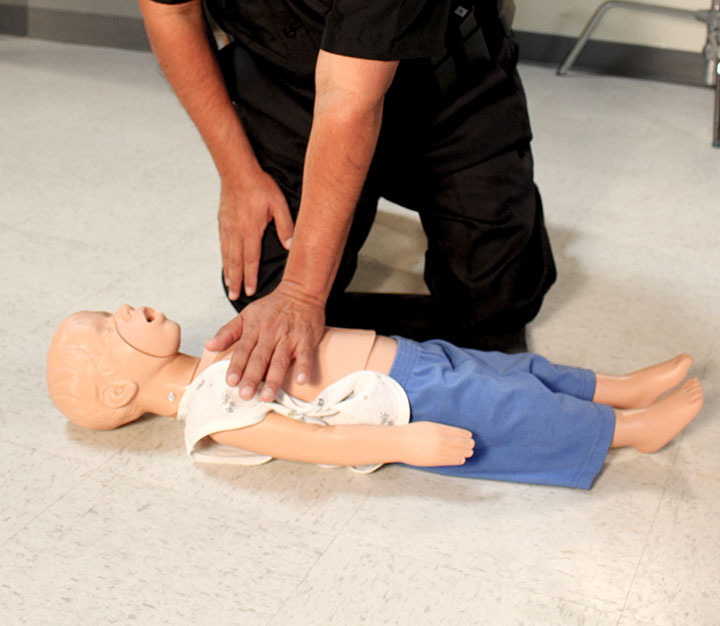 Depending on the size of the child, the rescuer will need to choose to use 1 or 2 hands to perform compressions. A child CPR manikin allows the student to see just how much smaller of a body they will be working on. This translates to accurately practicing giving smaller breaths and achieving a compression depth of about 2 inches rather than just guessing on an adult manikin. Students will have the opportunity to practice front-back AED pad placement for a small child. It’s natural to hesitate to use an AED in general, but even more so when it’s used on a child or an infant. 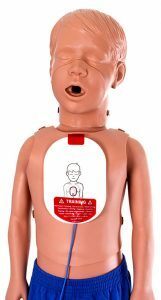 By properly training for AED use on a child manikin, students will be more confident when responding in an emergency. One of the most effective teaching tools you can use is to create an emotional connection between your students and the training you’re providing. 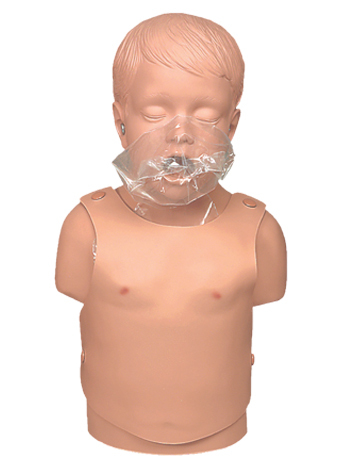 A child manikin often “hits closer to home” than a standard adult manikin. By seeing and performing these techniques on a small body, an emotional response is often triggered and sticks with the student long-term. There are several child manikins to choose from depending on your needs. If you only teach Child CPR occasionally, one child manikin may be enough. However, if you teach childcare providers on a regular basis, we always recommend that you invest in an adequate number of child and infant manikins to support your course ratios. Features a unique clamshell design with easy-to-insert face shield lung bag and clicker mechanism for practicing correct compression depth. 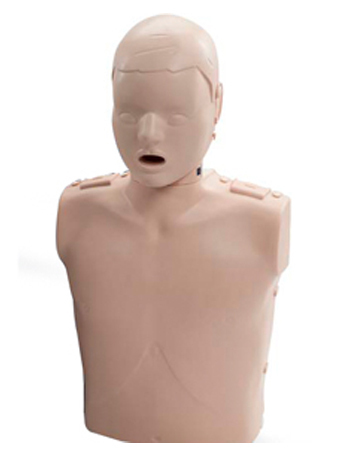 Allows you to use one manikin for teaching Adult and Child CPR by adjusting the chest compression piston. 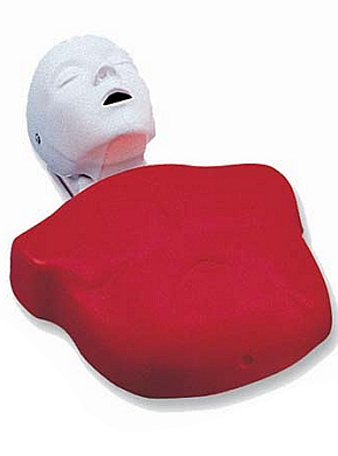 Provides a removable foam pad in the chest to switch between Adult and Child CPR compression techniques. Features easy installation of single-use airway/face shield system and visible anatomical landmarks. 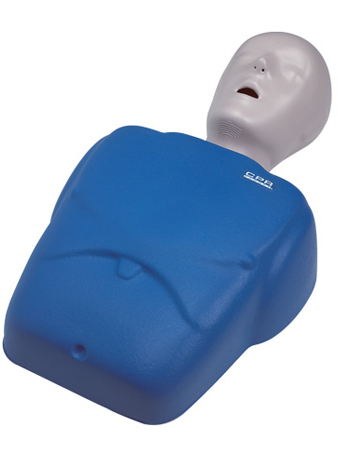 Click here to shop all CPR Manikins on our online store. Cardiac arrest in children usually results from respiratory arrest, not from a heart problem like in adults. If a child is unresponsive, send someone to call 911 and get the AED immediately. If you are alone without a phone, provide CPR for 2 minutes before leaving to call 911 and get the AED. Immediate CPR is more important than getting the AED. Scan for breathing for 5-10 seconds. If the child is not breathing, perform 30 chest compressions with 1 or 2 hands depending on the size of the child. Open the airway by tilting the head back and lifting the chin. Pinch the nose or apply a face mask and give 2 rescue breaths for 1 second each. Immediately resume compressions. Continue cycles of 30 compressions and 2 breaths until professional responders arrive and take over. If an additional rescuer is present, take turns every 5 cycles (2 minutes) to avoid fatigue. If the child begins to move and breathe, turn him on his side to allow fluids or vomit to drain from the mouth. 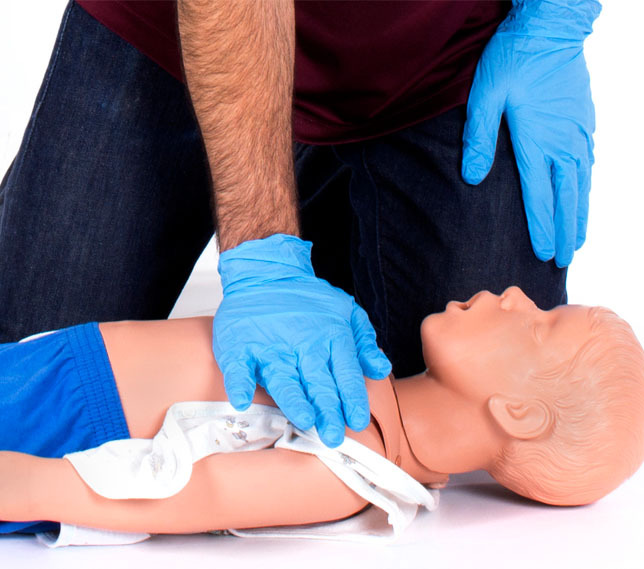 To get certified in Adult, Child and Infant CPR click here to find an Instructor near you!